Sandwiched between two of Ithaca’s most popular neighborhoods — Collegetown to the east, and Downtown to the west — residents of the East Hill apartments have plenty of local culture all around them. 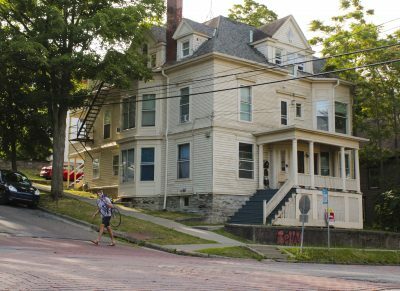 The East Hill neighborhood is characterized by historic boarding houses and mansions from the last century that have been converted into apartment buildings, mostly occupied by students. This is a very popular place to live for undergraduates at Cornell. A historic East Hill apartment building on the corner of Buffalo Street and Stewart Avenue. 507 East Buffalo St. – 7 units; (6) 1BR, (1) 2BR. Off-street parking available for rent. 116 Osmun Place – 6 units; (2) Studio, (3) 1BR, (1) 2BR. Off-street parking available for rent. 431 East Seneca St. – 4 units; (1) Studio, (2) 1BR, (1) 2BR. 408 Stewart Ave. – 6 units; (3) Studio, (2) 1BR, (1) 3BR. Off-street parking available for rent. Not all rentals are currently available. You can search for available apartments on the C.S.P. Management Apartment Search page, or use the address listed above to fill out an application. The East Hill Neighborhood sits partway between Downtown Ithaca — at the base of the hill — and Collegetown at its top. The Cascadilla Creek gorge runs along the neighborhood’s northern edge; to the south, Route 79/State Street separates East Hill from Six Mile Creek. East Hill is also near the University Ave and Cornell neighborhoods. 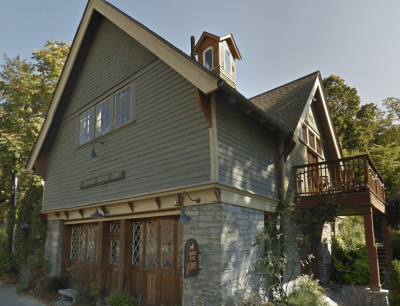 Carriage House Cafe – A historic landmark, as well as one of the best restaurants in town, the Carriage House is a renovated farm building from the 1800s — carefully restored and converted to a cozy cafe, which serves breakfast and lunch. In the evening, after the downstairs restaurant closes, the upstairs loft opens as a sophisticated cocktail lounge. Luna’s Inspired Street Food – Best described as a brick-and-mortar food truck, Luna’s offers on-the-go food with style and flair, starting with lunch and staying open until the early morning. Bar Argos – Another local hangout in a beautiful historic building. Bar Argos is the public face of the Argos Inn; guest rooms are upstairs, with a Roaring Twenties-styled bar space downstairs, serving some of the best high-end craft cocktails in town. During the warmer months, the courtyard space is an exceptional place to grab a bite from a local food truck and enjoy a drink outside.